Product prices and availability are accurate as of 2019-04-22 00:27:35 UTC and are subject to change. Any price and availability information displayed on http://www.amazon.com/ at the time of purchase will apply to the purchase of this product. Place your room in the middle of a birch tree forest with this gorgeous wallpaper design. 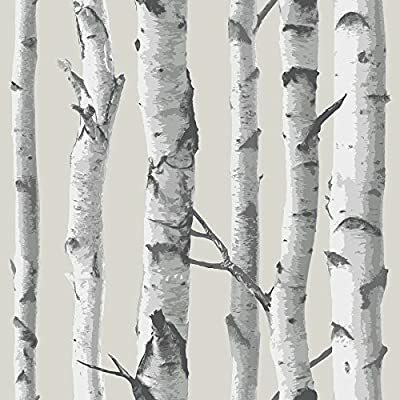 Printed on a premium peel and stick material that is completely removable and will never damage walls, this beautiful and lush forest adds a natural look to any space. Makeover your walls in minutes with this stylish decorating option that saves you the time and hassle of ordinary wallpaper. Comes on a 20.5 inch x 18' roll.